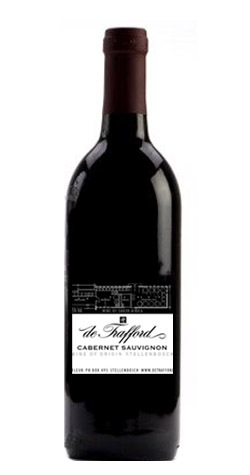 Red & blue berry nose with attractive cedary, spicy oak and fruit aromas. Softly tannic palate hiding a lot of fine fruit that opens up in the glass. Medium deep, dark red colour. Red & blueberry nose with attractive cedary, spicy oak and fruit aromas. Softly tannic palate hiding a lot of fine fruit that opens up in the glass. Softer, more elegant and finer than most vintages, a little less intensity and long-term ageability. Typical cold, wet winter followed by a normal growing season with enough rain and warm weather to produce good, balanced growth. As in 2007 the Shiraz seemed to relish the knife-edge harvest conditions with small heat waves alternating with short, wet, cold spells. Though overall a little wetter over the harvest period. It seemed to bring out a spiciness and elegance similar to 2007, just a little softer and less intense. 100% destemming and crushing by hand directly into 2 ton open top fermentation tanks. Spontaneous natural yeast fermentation @ 31ºC with the cap of skins punched down 2 – 4 times a day for 15 days. Wine drained directly to barrels together with single pressing from traditional basket press. All our wine undergoes malolactic fermentation in the barrel. 40% new French oak was used from high quality coopers. Time in barrels 23 months with several rackings to gradually clarify the wine and assist maturation. This wine was bottled unfiltered by hand on the property. From Hamish Dodds of Windermere, Florida on 4/10/2018 . Continuing stellar orbit 09, 10 is textured, complex, layered & concentrated. Flavors will unfurl beautifully over many years.